Late February, Cyclone Gamede brushed past Réunion, leaving 2 dead, 100 injured and more than 100 million euros in damage. CNES’s Parasol cloud- and aerosol-observing satellite had a ringside view of this devastating climatic event. The 1st image, acquired 25 February, shows Cyclone Gamede halfway between Madagascar (top left) and Réunion, some 300 km from the island’s northern coast. The coastline of Mauritius is visible on the right of the image. This picture clearly highlights the eye of the storm, through which the blue surface of the Indian Ocean can be seen. The Parasol data were processed in natural colour to render a picture similar to what the human eye would see. The 2nd image, also in natural colour, shows a panoramic view of the situation on 28 February, with Gamede 700 km southwest of Réunion. Surprising though it may seem, the 3rd image shows exactly the same scene as the 2nd, only this time in polarized light. 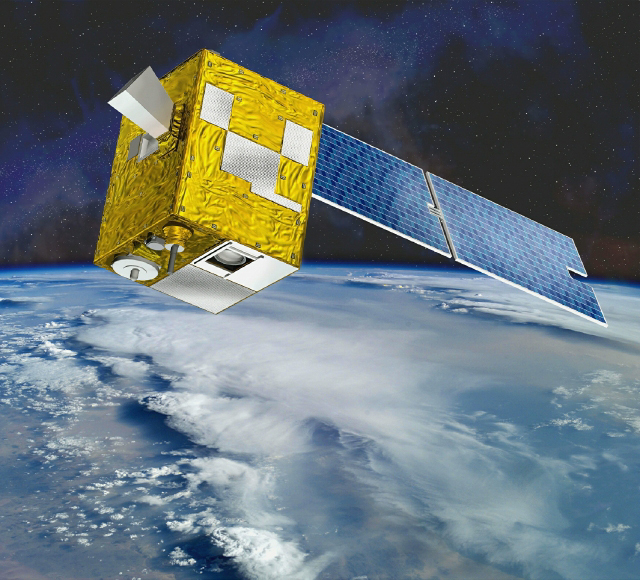 The Parasol Earth-observation satellite has this unique ability to sense light polarization, which depends directly on how the Sun’s light, initially unpolarized, is reflected by clouds and in particular on the type of particles that reflect it. 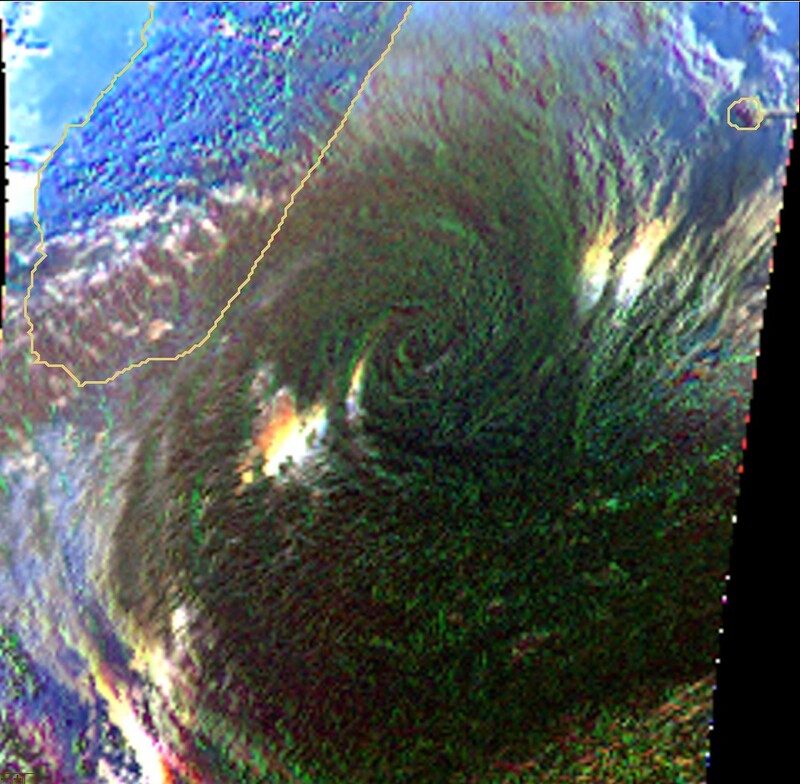 This false-colour polarized-light image lets scientists determine exactly what type of clouds compose the cyclone. They can distinguish what is in the parts of a cloud that are visible, especially the type and respective proportions of its constituent particles. Clouds are in fact an intimate pairing of ice crystals and water droplets, impossible to distinguish in natural-colour imagery collected by conventional remote-sensing satellites. This ability to penetrate the microphysics of clouds is one of the chief advances of the Parasol mission, opening up new perspectives for understanding the mechanisms driving the formation and evolution of cloud systems.